STRATHAM - US outdoor brand Timberland has unveiled its 2016 corporate social responsibility report, sharing progress on its five-year performance targets against three core CSR pillars - product, outdoors and community. STOCKHOLM – H&M says it aims to use only 100 per cent recycled or other "sustainably sourced" materials in its apparel garments by 2030. Better Cotton Initiative, London, UK (Shanghai, China may be considered for the right candidate), £60,000 - £65,000 pa.
Dr. O.A. Cleveland praises U.S.
GENEVA - The Better Cotton Initiative (BCI) has revealed the top ten users of BCI cotton by volume. … Gujarat, India's biggest cotton and cottonseed producing state, taking part … groups as the Better Cotton Initiative and CottonConnect involving companies were helping … produce cotton at the same price as conventional cotton. 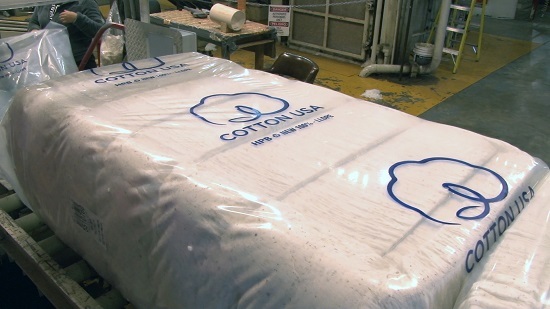 FEATURE-Can going green help pick the slavery out of cotton?